“Lab LA is our weekly post-work party where we stream the best live American and International DJs right from the heart of Hollywood. 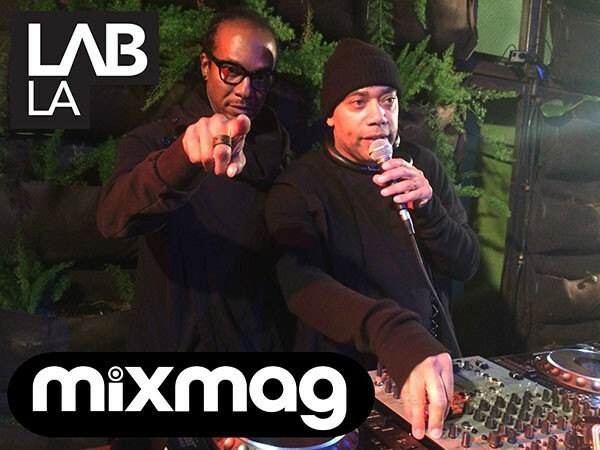 For this Lab, we kicked off the holidays in style with a Detroit Love takeover featuring legends Carl Craig and Stacey Pullen. Techno pioneer Carl Craig is the force behind Detroit Love, a project honouring his home city and spreading Detroit techno all over the world. Its launch at ADE 2014 featured Motor City natives Moodymann and Recloose, and for this special takeover in the Lab LA Craig will be joined by fellow Detroit don Stacey Pullen. One of the most respected and consistent dance music producers of all time, Carl Craig has managed to blend various genres of music into his own style and commands massive respect from the underground. His record label Planet E Communications has put out music from other key players such as Kevin Saunderson, Moodymann and Kenny Larkin – and in 2000 he helped launch the Movement Electronic Music Festival.